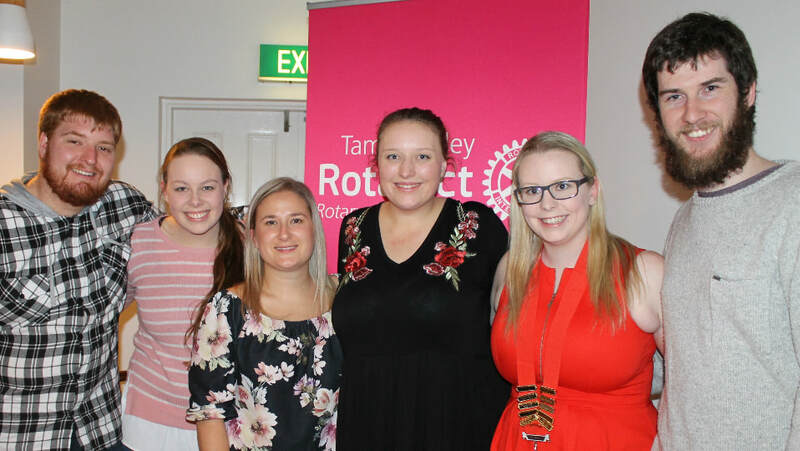 ​The Rotaract Club of Tamar Valley is a group of 18-30 year olds in Northern Tasmania, who aim to participate in community service and professional development, as well as have fun along the way. We strive to support causes locally, nationally and internationally and are constantly thinking of new and innovative ways to raise funds for a good cause and promote community awareness of the big issues. We volunteer, we hold parties, we go on vocational visits, we network, we have social nights, we attend functions, we participate in various trainings, we support other clubs and causes and we sometimes even attend a quiz night or two. Rotaract is a global organisation that empowers young people to create positive change in their local and wider communities. Rotaract provides unique opportunities that help its members in becoming the leaders of tomorrow. Rotaract, suitable for 18 to 30 year olds, has a strong social aspect. Meetings are held at a local pub, making for a great environment to meet like minded people and just have a all around good time. If you're interested in joining us, or would like to know more, please e-mail our president here.